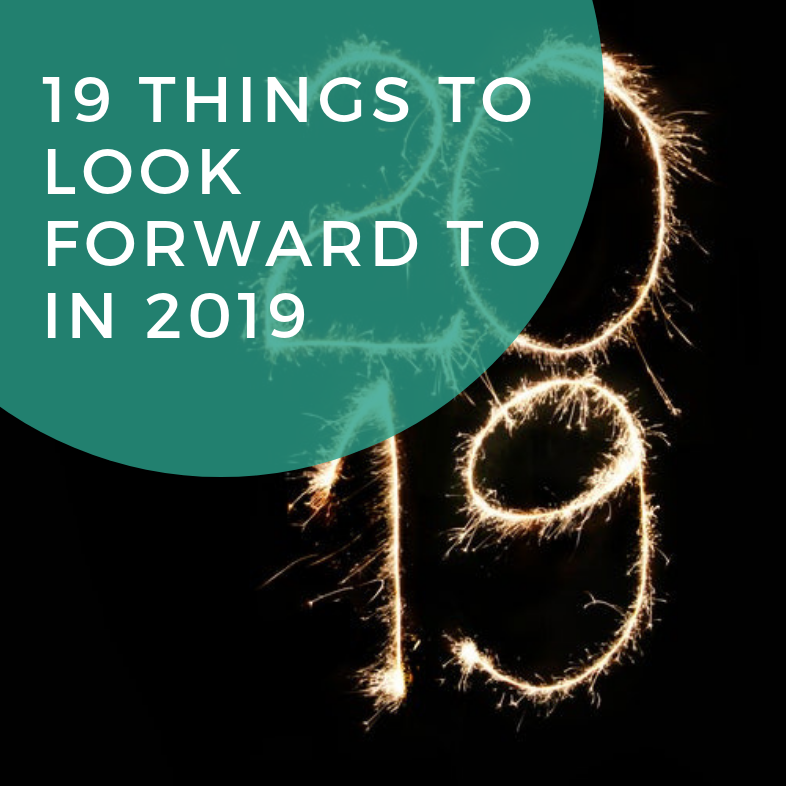 19 Things to Look Forward to in 2019 - The Idea Inc.
New Clients: Okay, this one was just for us  and all of our client-based people out there. Idk about you, but the New Years always brings a reminder of mission and vision, a renewal of contracts, and lots of good work for new clients! P.S. If you primarily live off client work and this isn’t you, let’s talk. Video Content is King: In 2019, video content will continue to reign. According to Impact, 80% of audiences would rather watch a video than read a blog and more that 82% prefer live videos from brands over social posts. The Royal Babyyyyyy: Megan Markle is magic and she could not be more perfect as a pregnant #girlboss. Star Wars: Galaxy’s Edge opens at the Disney parks this Fall AND Star Wars: Episode IX is coming out December 20! Subscription services: In 2019, there will be more subscription services. Forgot to buy razors? Perfume? Groceries? Birthday gifts? Don’t worry, there’s a subscription service just for you. AI: Tbh, I know very little about artificial intelligence. But according to Forbes, it will take over the world. Literally. 5G Laptops: So this is super cool, BUT mobile 5g networking isn’t expected to make an appearance until 2020/2021. Thoughts? Ariana Grande’s Breakup Album: TOMORROW PEOPLE. Need we say more? Thank u, next. Debates begin for the 2020 presidential candidates: The debates (usually) begin in late April or early May. It’s not yet clear what a Republican debate schedule will look like, as of December 2018. The first DNC-hosted debates will begin sometime in June. Another Total Solar Eclipse: Did you miss the solar eclipse in 2017? Don’t worry, another one is happening July 2, 2019. Mark your calendars! Samsung’s Folding Smartphone: This is a weird one. Have you seen it? Traveling: Here at The Idea, Inc. we hold to the strict truth that everyone should travel to a new city, country, continent at least once a year. This year, Rebekah is going to New Orleans and Southern California and Ebonni is going to Asia! Oat Milk: I know, I know, but Oatmilk has changed my life and not just mine. Oat milk sales are up 425% in the last year, according to data compiled for Refinery29 by Square, Inc.
Disney+: In 2019, Disney will end its streaming contract with Netflix and give them a run for their money (especially as Netflix jacks their monthly prices up) by launching their own streaming service will be the exclusive home for Disney movies, TV shows, and other original programming. Personalized everything everywhere: Personalized marketing is a marketing strategy where businesses use audience analysis and data to deliver more relevant messages to their target audience. Put into simple terms, this means that businesses collect and process information on their audiences’ interests, demographics, and behaviors to create more relevant content that provides more value. As an Internet user, you have been served with personalized content multiple times. Think Netflix and their “Recommendations for you” section. The recommended shows are curated based on the previous content you watched, which enables Netflix to display other shows you’re most likely to enjoy. HERE is the ultimate guide for personalized marketing from SocialBakers. I’m ecstatic for the new year, and I hope this list has given you, at least, a little bit of excitement even if it’s just for trying oat milk in your regular coffee drink. I promise it’ll be worth it! Happy 2019!